I had never been to it when it was called EPCOT Center but I love everything about the way this park was created. So next up on our photo-tour is this fabulous place filled with innovations and inventions. Our absolute favorite park! Can't wait to work our way around the lagoon and visit all our favorite countries! Love visiting all the countries (since we'd never get to them any other way), and the firework display at night. Love this 'builing' ~ just looking at it makes all of us smile. 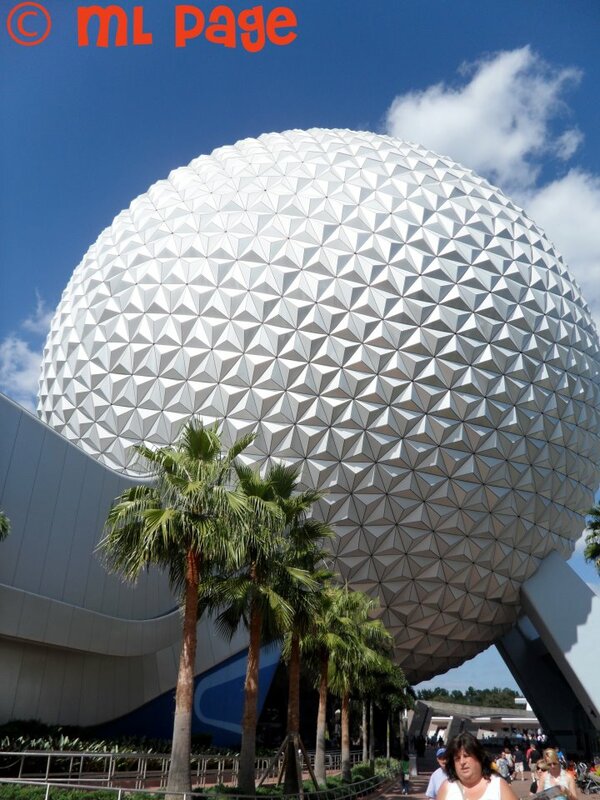 My husband and son love golf so much & this certainly looks like a giant golf ball!